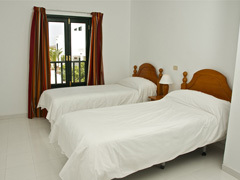 Welcome to Apartamentos Sol in Costa Teguise – Lanzarote. 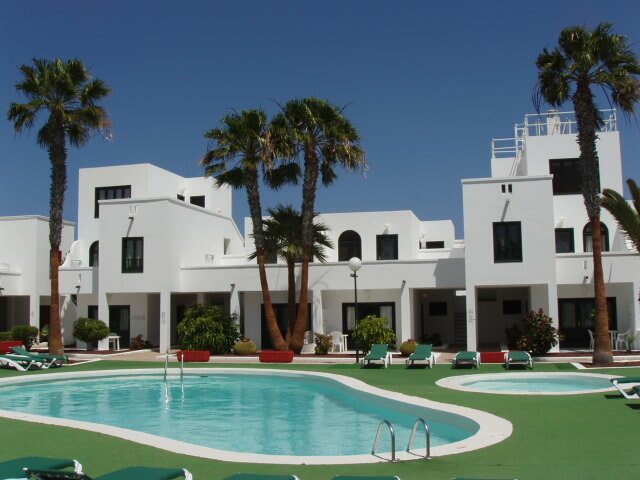 This small complex of 52 apartments is located in Costa Teguise – Lanzarote, just 300 meters from the Playa de Las Cucharas and the Promenade. 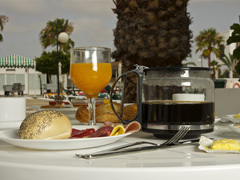 Apartamentos Sol offers 1 bedroom apartments built Canarian architecture, and are the perfect place for rest and relaxation make the most of daylight hours. Costa Teguise is located in the northeast of the island of Lanzarote is only 20 minutes from the airport and 10 minutes from Arrecife, the capital. Offers a wide selection of bars, restaurants and shops. Also, nearby you will enjoy all kinds of water sports: diving schools, windsurfing, etc. Recently renovated, the apartments are decorated in bright colors. Fully equipped kitchens and TV 32 “. The central pool and pool bar are surrounded by beautiful gardens.